A SHIFT IN GEOPOLITICS IN CENTRAL ASIA: WHY IS CHINA SO INVESTED IN AFGHANISTAN? Foreword: Chelsea Kaser is the current National Security Intern at the Center for International Policy for the Spring of 2015. She conducted research on Chinese and Afghan relations before writing this post. She currently attends Muhlenberg College, where she concentrates on peace and conflict resolution and Russian studies. She hopes to attend graduate school after obtaining a Bachelor of Arts in International Studies. Since 2014, China has become much more diplomatically engaged with Afghanistan. Several factors have raised the interest of Beijing in securing a more stable and secure Afghanistan. For both national security and economic needs, Chinese leaders have not only given substantial economic aid to the country, but also supported and even hosted peace talks with the Afghan Taliban. However, because of border disputes with India and China, as well as historical tension between India and Pakistan, several other aspects have come into play with this newly diplomatic relationship between Beijing and Kabul. In February 2014, Chinese Foreign Minister Wang Yi visited Kabul and indicated China would support Afghanistan in achieving “smooth political, security, and economic transitions.” In October 2014, China also hosted the fourth foreign minister’s meeting of the Istanbul Process, and international efforts launched in 2011 to encourage cooperation and coordination between Afghanistan and its neighbors and regional partners. In this way, China showed desire to take initiative in promoting a smooth power transfer after Afghanistan’s 2014 presidential election and a stable security transition following the gradual withdrawal of International Security Assistance Force (ISAF) troops an U.S forces in December of 2014. 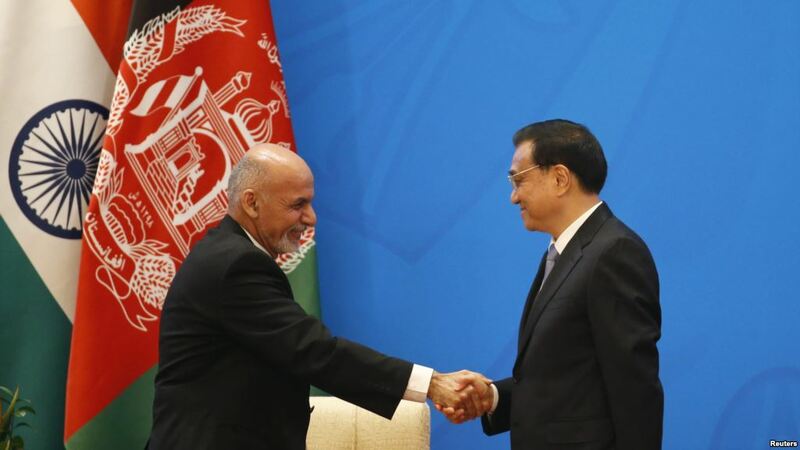 In January 2015, during a speech marking the 60th anniversary of China-Afghan relations, Afghanistan President Ashraf Ghani said, “We hope that China will play a proactive role in bringing peace to Afghanistan, because whatever the Chinese do, they do it according to a plan and with focus. Now, as they have become involved, we will witness more steps toward achieving peace.” And in February 2015, the Trilateral Strategic Dialogue that includes China, Afghanistan and Pakistan met for the first time in Kabul, highlighting new Chinese desire to engage with Afghanistan diplomatically. At this meeting, two decisions were highlighted: (1) China agreed to support relevant proposals such as strengthening highway and rail links between Afghanistan and Pakistan including Kunar Hydroelectric Dam, pushing forward connectivity and enhancing economic integration and (2) China and Afghanistan support Pakistan holding the fifth Foreign Ministerial Conference of the Istanbul Process on Afghanistan and the three sides agreed to strengthen coordination and cooperation on this matter. Economically, China also has given several types of aid. In 2014 alone, China provided Afghanistan with a total of 500 million yuan (80 million USD) and pledged an additional 1.5 billion yuan (240 million) over the next three years. These numbers are substantially larger than any aid that the Chinese have given in previous years, and has promoted economic stability in a country that is rising from over a decade of war. China also promised to provide 500 scholarships for Afghan students to study in China as well as training to 3,000 Afghan professionals in various fields including counterterrorism, anti-drug trafficking, agriculture, and diplomacy. Another big factor that has created closer cooperation between China and Afghanistan is the Silk Road Economic Belt Initiative. This proposal shows Chinese efforts to focus less on domestic issues and become more involved in a widely regional sense. Under this initiative, China aims to create a modern Silk Road Economic Belt and a 21st Century Maritime Silk Road to boost trade and extend its global influence. 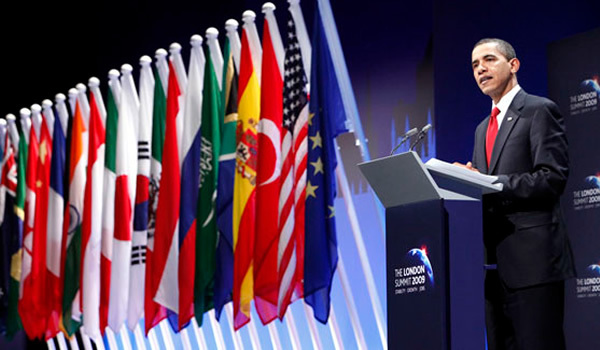 Projects under the plan include a network of railways, highways, oil and gas pipelines, power grids, and other infrastructure links across Central, West and South Asia to as far as Greece and Russia, increasing China’s connections to Europe and Africa. Now the big question is, why has China invested so much into Afghanistan? Besides the obvious benefit of the Silk Road Initiative in terms of opening up trade, Chinese diplomatic involvement is mostly about Afghanistan stability. A stable Afghanistan means two things for China, (1) To be able to create this Silk Road Initiative, Afghanistan must be a key player, as Kandahar is being considered as a central stop on the trade route, and (2) To control the Muslim majority Uighur population in the Xinhang province, which resides in Northwestern China and shares a small border with both Afghanistan and Pakistan. Chinese leaders fear with the close proximity the Xinhang province is to both Afghanistan and Pakistan, that it is especially vulnerable to the effects of terrorism and extremism, posing a great threat to Chinese national security. Without Afghan stability, the Xinhang province will be harder to control and keep stabilized. This second concept was made a real fear in October 2013, when a car crashed in Tiananmen Square, Beijing, in what police described as a terrorist suicide attack. Five people were killed and another thirty-eight were injured. Chinese police described it as a “major incident” and as the first terrorist attack in Beijing’s recent history. The other most recent attack was in March 2014 at the Kunming train station. The incident, targeted against civilians, left 29 civilians and 4 perpetrators dead with more than 140 others injured. The attack has been called a “massacre” by some news media. Both male and female attackers were seen to pull out long-bladed knives and proceed to stab and slash passengers. Although no one group took responsibility for either attack, there was evidence in both that pointed to the Uighur Insurgency in the Xinhang province. With these heightened security concerns, it is not in the least surprising that China has taken a lead in stabilizing Afghanistan and supporting the new government among other things. Another factor that has played into China’s role in Afghanistan is its neighbor, Pakistan. Pakistan’s role is quite interesting, as it is connected to China’s involvement in Taliban peace talks and has become a growing regional nuclear threat. Pakistan has the world’s fastest-growing nuclear arsenal; and as of recently, Pakistan’s Prime Minister Nawaz Sharif, announced that he had approved a new deal to purchase eight diesel-electric submarines from China, which could be equipped with nuclear missiles, for an estimated $5 billion. Last month, Pakistan test-fired a ballistic missile that appears capable of carrying a nuclear warhead to any part of India. China is using its good relations with Pakistan to cultivate more cooperation in peace talks with the Taliban, as Pakistan has closer ties with some the organizations’ leaders. China and Pakistan’s alliance is both beneficial militarily and economically. Beijing’s ambitious Silk Road Initiative is integrated with CPEC (Chinese Pakistan Economic Corridor), a channel for trade running from China across South and Central Asia. CPEC involves major overhaul of infrastructure, with rail roads, pipelines, and ports in a bid to ease the energy crisis and increase investment in Pakistan. Militarily, both countries recently made a $6.5 billion commitment to build a new nuclear power plant in Karachi. This alliance does not help India’s interests, as both India and China have taken great measures in assisting Afghanistan in its political transition. India has given $2 billion for a number of areas of infrastructural development, capacity building, rural development, and education. They have also spent some time training Afghan military and police. However, because of India and China’s rocky relationship as well as India being a “common enemy” to both Beijing and Pakistan, India likely does not have a chance in competing in Afghanistan for power. As far as the Taliban peace talks go, China has a lot to lose if this peace process fails. China is well-equipped to take on the role of peacemaker, as it is a major power in the region and has a great degree of political influence. China also has a lot invested in these talks, as its national security and economic prosperity with the Silk Road Initiative are big factors at stake. Ensuring Afghanistan security and stability creates a risk for China, and if they do not succeed, its credibility will most likely be damaged. With the United States, at some point, removing the last of its troops out of Afghanistan, there is a question of whether or not China will be the next “U.S. in the country.” Is China filling the void left by the likely U.S withdrawal from Afghanistan? Although the answer is uncertain, China has invested too much into Afghanistan’s infrastructure to try to create stability to let Afghanistan falter again, but it is nearly impossible that Beijing will ever invade Afghanistan like the U.S. did. China will likely continue to invest in Afghanistan and be involved in reconciliation with the Taliban until a time when it becomes pointless, as this is there number one priority is promoting a stable Afghan government. As far as U.S policy should be concerned, China’s involvement in Afghanistan is not an immediate threat. China could prove the ultimate winner in Afghanistan, having shed no blood and only giving economic aid for stability purposes. China’s involvement in Afghanistan is not a potential threat to U.S power, and if this involvement is completely benign, it will continue to not be a threat. We should be happy that the transition of the government in Kabul is going rather smoothly. However, Chinese involvement is a “mixed bag”; if it uses its influence to gain power in the region and not for stabilizing Afghanistan alone, the threat to U.S power will become evident. One of the most serious threats that could come of this is Chinese and Pakistan’s nuclear ties, as growing, destabilizing nuclear forces will continue to be one of the biggest national security threats for the region, and for the United States, in years to come. “President Xi Jinping of China showed up in Pakistan this week with one of his government’s most powerful weapons — money, and lots of it. He signed agreements worth more than $28 billion as part of a total promised investment of some $46 billion in a new “Silk Road,” an ambitious land-and-sea-based economic corridor connecting China to Europe and the Middle East through Pakistan, Central Asia and Russia. The corridor is intended to shorten the route for China’s energy imports from the Middle East by bypassing the Straits of Malacca between Malaysia and Indonesia, which could be blocked in war. Pakistan and its neighbors would unquestionably also benefit from this project if it can be completed. Pakistani officials said that about $10 billion would be invested in infrastructure projects, including a deepwater port at Gwadar on the Arabian Sea, with rails and roads leading from the port across Baluchistan Province into western China. The route from Gwadar to Xinjiang Province in China would be a shortcut for trade between Europe and China. Up to $37 billion is earmarked for coal-based power plants, hydropower plants and solar parks to fill Pakistan’s huge energy needs. For China, the investment also addresses issues of national security. China fears that Muslim separatists in Xinjiang, one of China’s most restive regions, are being influenced by militants in Pakistan, which has been battling an insurgency for more than a decade. Pakistan, Afghanistan and Central Asia have missed out on Asia’s economic boom, leaving them vulnerable to unrest. Ideally, China’s project would promote growth in Pakistan, weaken the extremists, encourage the Pakistani Army to support peace efforts in Afghanistan and begin to knit together a fragmented region with new development and trade. There’s reason to be skeptical. The United States pursued many of the same goals when it poured $31 billion into Pakistan between 2002 and 2014, yet achieved little. One problem was that most of the American money was military aid. Congress was finally persuaded to authorize $7.5 billion in development aid in 2009, but by then the United States was in economic distress and fed up with the duplicity of Pakistani Army leaders who took counterterrorism aid from Washington while also working with militant groups against American interests. China’s government is flush with money and has considered Pakistan among its closest allies since the 1970s. It may have learned from America’s mistakes by going big on development and targeting assistance to specific needs. But it will face the problems of Pakistani corruption and incompetence that the Americans experienced, as well as safety issues. Much of the construction would occur in Baluchistan, in southwest Pakistan, where a separatist movement has been fighting for independence from the central government for decades and could threaten Chinese workers.